After using open source cloud services for testing and development applications, the IT team at Domino’s Pizza is now looking to move other critical workloads, such as web services, to the cloud infrastructure. The UK pizza delivery chain has been using Rackspace’s infrastructure as a service (IaaS) and platform as a service (PaaS) products for its testing and development environments for the best part of a year. 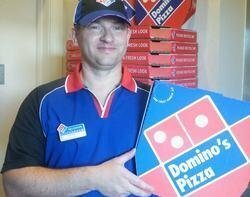 “Cloud is an important technology, but we wanted to build our experience and understanding of it in a low-risk way,” Domino's Pizza IT director Colin Rees (pictured) told Computer Weekly. The IT team chose testing applications because they are not front facing and the development team needs to spin out very heavy workloads. “It was a good way to test cloud computing technology, its flexibility and scalability,” he said. And the IT team is seeing cloud computing benefits such as on-demand capacity and cost savings. The bulk of the pizza chain’s business takes place during weekend dinnertimes and Tuesdays when its popular “Two for Tuesday” promotional offer takes place. To cater to the high demand for a few hours in the evenings, the IT team has to provision for the peak performance workloads at all times, even when it is not used. This leads to an under-utilisation of its infrastructure and high costs. “Having seen the clear benefits of cloud computing in testing and development, we have now slowly started the process of thinking how to move web services to the cloud infrastructure,” said Rees. His cloud strategy is clear – move top 10% of applications and workloads to the cloud, get comfortable, build up experience and then move some more. The pizza delivery chain selected Rackspace’s cloud infrastructure because open source cloud will allow it to migrate workloads more easily than being locked in to a supplier. plus it was already using Rackspace for outsourcing and datacentre management services. “We did not want a separate vendor for cloud and a separate vendor for our in-house corporate infrastructure,” said Rees. Domino’s Pizza currently operates two datacentres – one primary and one secondary. By shifting more of its IT services to the cloud, it wants to make both datacentres primary, to become an active-active datacentre. But cloud computing is just one aspect of Domino’s Pizza’s IT strategy. It is also looking to launch a lot more mobile offerings and support expansion in Germany and Switzerland. It offers free ordering apps for iPhone, iPad, Android devices and Windows 8 devices. “We have just launched a new iPad app – our third most significant mobile upgrade this year,” said Rees. The new app allows users to design and make their own pizza with a visual pizza builder called “Pizza Chef” and receive deals and offers while making the order.